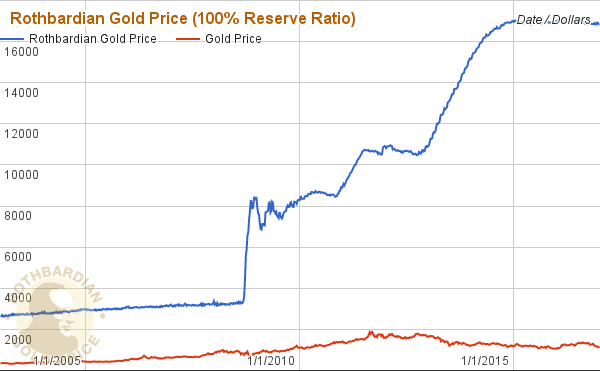 What could be the price of gold if US Federal Reserve is abolished in its current form? The answer as of December 11th 2016 is US$16030 / oz, or US$2524 / oz, depending on the ratio gold reserve ratio (100% vs. 15%) new regime would use. Sounds crazy? Not so much according to Murray Rothbard. This is a blog dedicated to sharing Rothbardian ideas and collection of links to his videos and books. One important aim of this website is to raise awareness of ‘heterodox’ economics to the public, create conversations around it, and advance our understanding economics which have been failing us again and again with seemingly never ending boom and bust cycles. 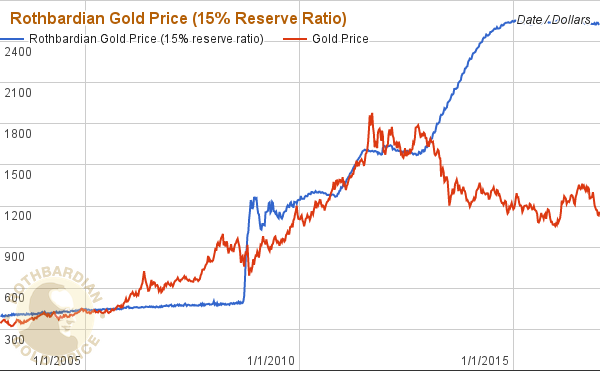 For that we start with introducing the Rothbardian Gold Price. Murray Newton Rothbard was a Jewish American heterodox economist of the Austrian School, a revisionist historian, and a political theorist whose writings and personal influence played a seminal role in the development of modern libertarianism 1)Murray Rothbard on Wikipedia | https://en.wikipedia.org/wiki/Murray_Rothbard. What is Rothbardian Gold Price? Cancel all assets but gold immediately, including U.S. governments and federal government agency securities, SDR. Cancel all liabilities but Federal Reserve notes and Federal Reserve deposits, including capital accounts and any treasury deposits. Reevaluate its gold reserve(technically gold certificates that claims gold guarded by U.S. treasury), and allow owners of Federal Reserve notes(your green papers!) and Federal Reserve deposits to redeem gold at reevaluated price anytime. 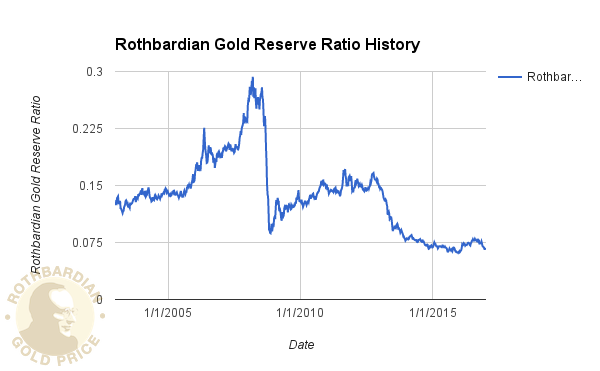 This site (http://www.rothbardiangoldprice.org/) is the first one that coins the term Rothbardian Gold Price which is essentially the reevaluated gold reserve price applying Rothbard’s radical proposal.